At Cycle Club on Saturday, we were discussing ways to increase flexibility and strengthen muscles, when Mike suggested that we maybe try yoga. He said that it heals both the mind and body, and his current gym offers free yoga lessons. So yesterday, I went with Mike to his yoga class, which needless to say was in endless supply of senior citizens and lonely housewives – oh yeah, and a nice Zen garden outside. A tall, thin woman walked in and told us all to lie down on the mats – I assumed she was the instructor – but, let’s just refer to her as Stretch. I lay down and we were lead through a relaxing technique, which was actually quite pleasant. After 5 minutes of complete nirvana, Stretch started to lead us through some weird exercise where we put our hands on the floor and extended our back leg out as far as possible. I was now sniffing some old person’s foot – yuck! 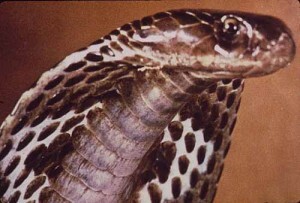 Then, Stretch told us to lie down with our stomach to the floor, when I heard her mention something about a cobra. That’s when I jumped up and said, “Nobody told me anything about damn snakes! I’m outta here!” After an eruption of laughter, Stretch grinned and told me there was no snake; it was a position in yoga. Twenty minutes later, and I felt like a slinky that had been crunched up by a fat kid. I was completely sore! Mike says that the pain gets better after a few more lessons. Hmmm…I don’t think I’ll be having any more lessons!